This week I joined the Professional Services Office team at Asheville-Buncombe Technical Community College’s Small Business Center Incubator. Once per month I provide free one hour counseling sessions to clients of the Small Business Center to help these clients understand what their options are with regard to obtaining patent protection for their inventions. The following is an excerpt from a research paper I wrote for a technical management course I took while pursuing my Master’s degree. Some of the financial information is a bit dated, but I imagine that the ratios are still comparable today. The complete paper is available here [PDF, 120kB]. There are many advantages for a technology company to utilize one or more internal patent practitioners. Many of these advantages are gained by the advantage of having ready access to the company’s inventors and their research and development information, and by having an insider’s perspective on overall strategy and direction that is not always readily apparent to external patent practitioners (Hammond, 2005). However, there are many scenarios and conditions in which the company would be better served by external patent practitioners, some of which are addressed in section 5. One overarching advantage of utilizing an internal patent practitioner is the financial savings, and most of the following listed advantages also have associated competitive cost aspects when compared to using an external patent practitioner. Internal resources offer ease in budgeting where salary and other compensation benefits can be easily allocated accurately on a monthly basis, and the financial impact of these costs is spread evenly over the budget year (Hammond, 2005). External patent practitioners charge varying amounts for billable hours, consistently at rates above those associated with overall hourly compensation for an internal patent practitioner. Additionally, patent agents can be hired at reduced rates compared to patent attorneys (Hammond, 2005). For example, according to AIPLA (2007), the median gross annual income (excluding benefits) in 2006 of an in-house corporate patent agent (registered with the US Patent and Trademark Office) was less than $120,000, and the median gross annual income (excluding benefits) in 2006 of an in-house corporate patent attorney was $185,000. Assuming a 40 hour workweek, in-house patent agents cost around $58 per hour, and in-house patent attorneys cost approximately $89 dollars an hour. Consider that many of these internal patent practitioners will work an average of over 40 hours weekly, but that the hourly compensation also includes time not spent working such as vacations. These rates compare very favorably to the average hourly billing rate for a private law firm associate, which according to AIPLA (2007) is over $300 per hour, even for practitioners with patent experience of only five years. As a concrete example, Invitrogen Corporation reduced patent prosecution costs for the company by 60% to 75% by moving the prosecution work from outside patent practitioners to an in-house patent agent (Hammond, 2005). One study found a reduction in cost for drafting and filing a patent application from $10.6k when the work was done externally to $7.6k when the work was done in-house – a savings of approximately $3000 (Dilling, Beveridge, & Chen, 2007). The University of Virginia Patent Foundation (UVAPF) noted that by moving patent prosecution activities in-house, costs dropped to $185 per hour (including all overhead) versus a range of $295 per hour to $325 per hour when this work was performed by outside counsel (Dilling, Beveridge, & Chen, 2007). Considering corporations’ continuing efforts to reduce costs, particularly in the current economic slowdown, there is a tangible sense of urgency to cut expenses related to patent handling. Given the cost savings, using an in-house patent practitioner can provide the vision for change (Kotter, 2008) needed to resolve this sense of urgency within an organization. Regardless of the practitioner’s costs, an effective patent practitioner must know the company’s entire business by understanding the company’s and its competitors’ products, markets, customers, distribution channels, and long-term objectives (Bradley, 2005). Therefore, an individual working for and within a company is best positioned to know that company’s entire business. By knowing the company business, an internal patent practitioner also should be involved in creation of the overall corporate IP strategy, where such an IP strategy “should also include regular active management of a company’s patent portfolio, which involves analyzing the portfolio not only for identifying and filling IP gaps, but also for reviewing the portfolio for potential out-licensing opportunities and for strategically pruning the portfolio in times of financial constraints” (Ruschke, 2006). 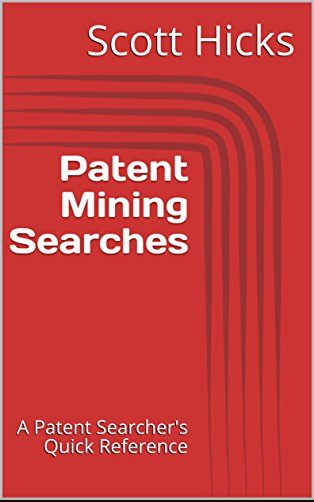 “Moreover, not only should a company be monitoring its own portfolio, a company should include in its IP strategy the monitoring of the patent activity of its competitors and of any other third party with relevant IP that could impact the ultimate clearance of a product to be released to the marketplace” (Ruschke, 2006). An internal patent practitioner is well positioned to execute the company’s IP strategy quickly and cost-effectively. An internal patent practitioner can additionally easily avoid the types of potential conflicts of interest that can arise when an external patent practitioner seeks to represent a third party in a manner potentially adverse to a client or to an affiliate or related entity (Moffitt, Swift, & Moore, 2008). Furthermore, a patent portfolio managed internally is more likely to be driven by value as opposed to an externally managed patent portfolio which might at times be more driven by volume (Jacobi, 2007). While an internal patent practitioner should not alone evaluate the value of pursuing patent protection for a submitted invention, an internal patent practitioner provides much additional value to an internal review team based on his or her knowledge of patent rules and of the company and its competition. It is difficult for an external patent practitioner to properly assess the value of pursuing protection for submitted inventions from a corporate perspective. Given that “employee IP training is a must” (Bradley, 2005), an internal patent practitioner is better suited than an external patent practitioner to provide proper patent training to company employees at regular intervals and with the appropriate scope based on the business needs. Also, who better to make intellectual property such as patents accessible internally to the various business units than an internal patent practitioner? According to Bradley (2005), “not only will this relieve the IP department of various administrative tasks, but it will also permit the company’s business units to support and take ownership of its IP generation and acquisition activities, and facilitate the creation of a corporate-wide IP organization that strategically manages the company’s IP activities.” Per renowned change theorist Peter Senge, a “systems thinking” method helps a corporation become a “learning organization”, which is one that integrates, at all personnel levels, related company functions [such as intellectual property] to “expand the ability to produce” (Senge, 1990). A patent practitioner internal to the business is well positioned to provide a checkpoint for external exposure activities, such as marketing materials and trade shows, where discussions, presentations, and documentation are not protected by nondisclosure agreements. An internal patent practitioner, who is familiar with the company’s product line and the associated patent landscape, can recommend alternative language so as to avoid any unwarranted and undesirable attention from patentees. In the same way, such an individual can quickly provide input based on review of requests for information, and can also glean an understanding of what types of features and functionality might become part of the company’s product roadmap going forward. This type of regular review and insight is valuable for the internal patent practitioner to be able to determine what features, functions, and products require freedom to operate investigations, and to what level. Another sensible activity for an internal patent practitioner is to coordinate the overall patent budget, which can easily be hundreds of thousands of dollars, even at small technology companies. The patent budget will normally include cost items not normally visible to external patent practitioners, such as incentive program award payments. Regardless of the number of internal patent practitioners at a technology company, or the amount of work performed by such practitioners, it is very likely that patent-related activities will need to be supplemented by external patent practitioners, which means that at least one representative of the company will need to provide the main interface to such external patent practitioners (Heming & Skaryan, 2005). Because the quality and costs associated with utilization of external patent practitioners need to be closely monitored, it is imperative that the main company liaison to external practitioners be well-versed in patent law and practice, which should lead company management to further consider employment of at least one internal patent practitioner.